December started off with a bang. I went to the Lucasfilm holiday party with my friend Kimberly. We had a ball, I saw old friends, met some new ones and even saw the Rogue One cast. 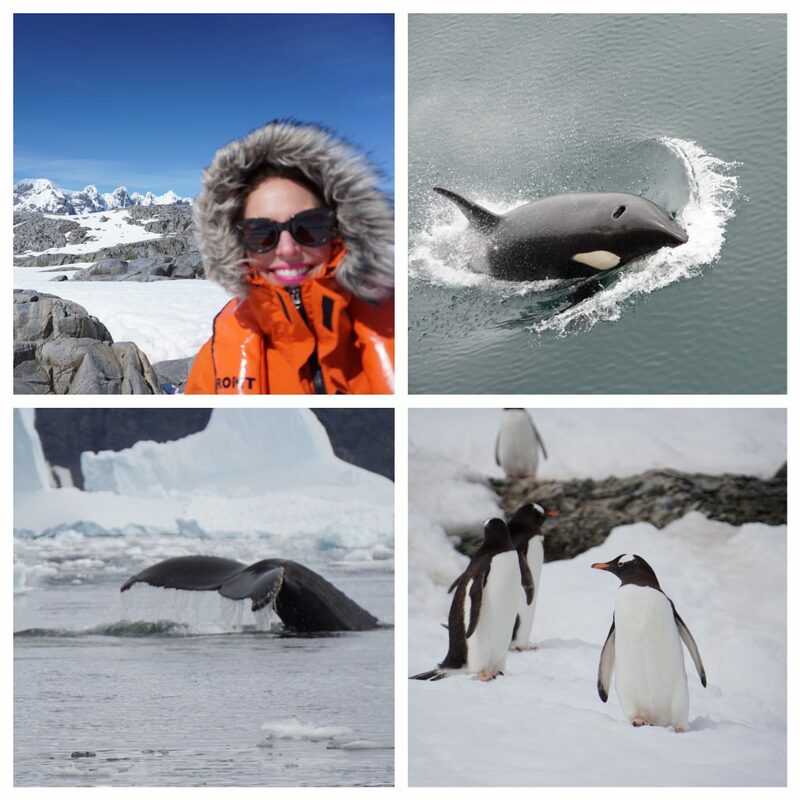 Then I took a National Geographic cruise to Antarctica. It was a magical experience. 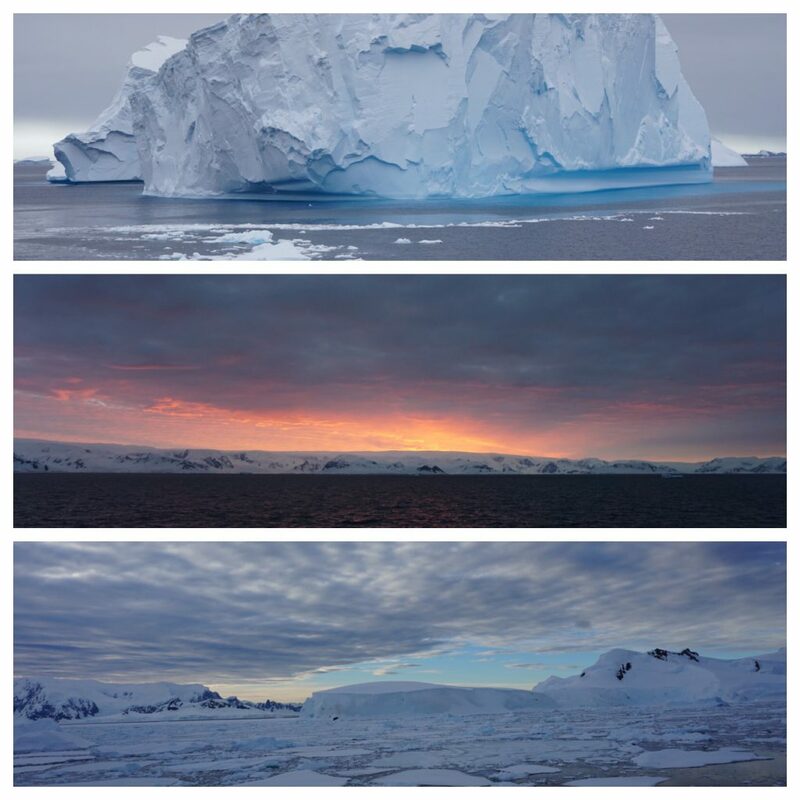 Every time I looked out my window I saw humpback whales, killer whales, penguins, seals and enormous icebergs. I took part in the polar plunge with 96 other guests by jumping into the Southern ocean, all 30 degrees fahrenheit of it. I had to be pulled out quickly by the crew as I began to hyperventilate. So much for my future in extreme cold water diving. At the exact moment of my polar plunge, Carrie Fisher suffered a massive heart attack on a flight from London to Los Angeles. We had wifi on the ship but I tried to abstain. I didn’t last very long and the night of December 23rd I caved and logged in. I was swarmed by all these text messages asking me if I was ok. I was lost. Finally one of my friends responded telling me about Carrie. Wow. I was numb. I knew she was already gone when I read the news – 10 minutes without a pulse. I checked the news about 20 times a day, it could have been 90, waiting for an update. Finally Debbie Reynolds let us all know Carrie was stable in ICU. This wasn’t good. I had let my sister use the wifi when she knocked on my wall. I ran over and she showed me the Rolling Stone headline, Carrie Fisher dead at 60. WHY GOD WHY??? OUR PRINCESS LEIA? OUR CARRIE FISHER??? I admit it, I totally cried, Ok admit it, you did too. Who wouldn’t? She was a galactic princess. I was very touched about how many friends texted and messaged me to see how I was taking the news. “You were the first person I thought of,” my friends said. I couldn’t hide my adoration. 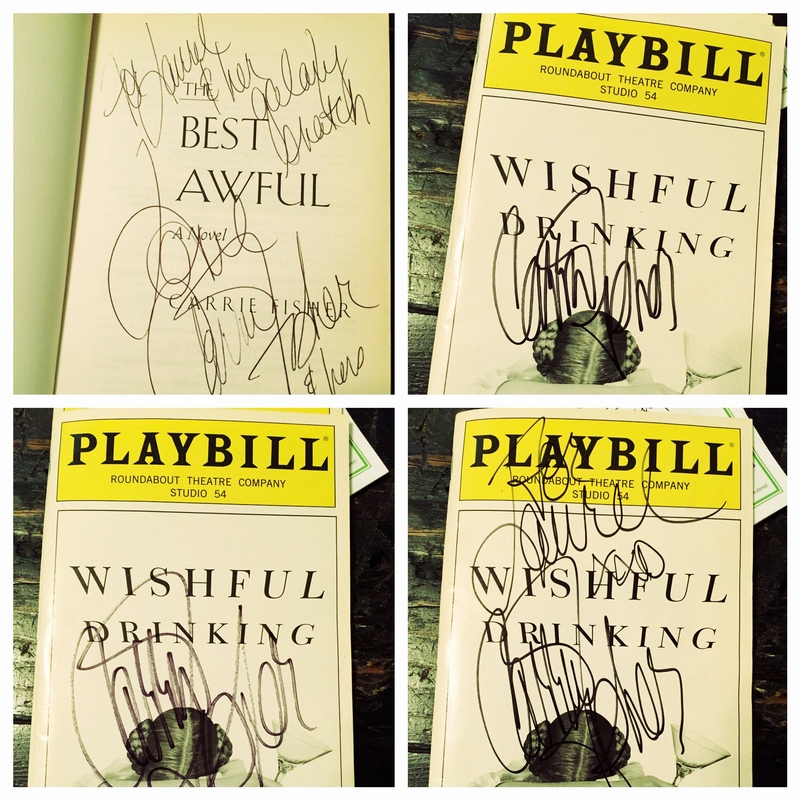 Even Carrie referred to me as her stalker, after I showed up to see her Wishful Drinking Broadway show apparently one too many times. I had access to FRONT ROW TICKETS!!! I couldn’t help myself. It does seem a bit coincidental that she waited to die until I was on the other side of the world, right? 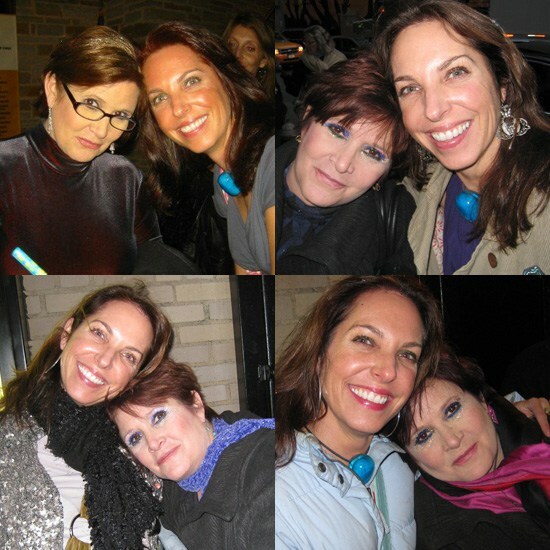 Did I take a few photos with Carrie? Yes I did. Did I ask for her autograph more than once? Right again. And she was gracious each and every time. I’m sad. I’m sad that I lost my hero. I’m sad the world lost a hero. I’m sad for Carrie’s family. I’m mostly sad that Carrie had at least 20 good more years in her and she deserved some more happiness in life. I envision Carrie and Debbie in Heaven, probably at a piano bar, living it up and singing Happy Days Are Here Again to a crowd of angels. I hope my BFF Anne Hurley is there and I hope Anne’s able to smooth things over for me. And Anne? If you could say that taking Carrie’s pillowcase on that flight back in 2008 was your idea please??? Carrie is now truly one with the force. This entry was posted in Star Wars, The Real Dirt and tagged Anne Hurley, BFF, Carrie Fisher, Lucasfilm, Wishful Drinking by laurel. Bookmark the permalink. Great read Laurel! What a wild 2016 for you….. and 2017 has only just begun! It’s ironic how you are on the other side of the world (where the sun never sleeps) and Carrie passes away. Is this a message that she will always be a shining in your life? Lots of puns and messages to explore for years to come! 🙂 Looking forward to reading your next dazzling piece!